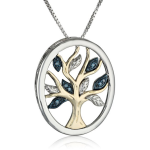 After BLACK FRIDAY / Cyber Monday - 2015 Holiday Season Top Diamond and Jewelry Deals! 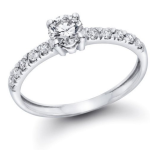 After BLACK FRIDAY / Cyber Monday – 2015 Holiday Season Top Diamond and Jewelry Deals! It is that time of year again, and we are bringing you exclusive Black Friday Jewelry Deals from top online retailers. Whether you are looking for beautiful jewelry at a moderate price, or want to splurge on diamonds, we have got just the right deal for you! 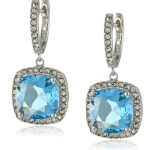 Amazon is bringing you the best prices for a wide range of designer jewelry. Get 20% off ALL Jewelry during Black Friday Week! You can get rings, bracelets and earrings in a wide range of colors and styles for as little as $25-35. Or splurge on designer pieces by Kate Spade, Michael Kors, Sorrelli, Judith Ripka and others. Blue diamonds may have been treated to improve their appearance or durability. Embellished with dozens of pink crystals, this gold-tone Michael Kors bangle features an engraved logo and chic fold-over clasp. Ships from and sold by Amazon – Gift-wrap available. GIA-certified, jewelry has been assessed and authenticated by the Gemological Institute of America’s expert gemologists. Includes Free Shipping with Signature Requirement. Online fine jewelry outlet, SuperJeweler.com is running an Amazing Black Friday Special – 60-80% off Diamond Wedding Bands! That is right, those prices in the photo are real! So if you have been putting off that proposal to find the perfect right at a perfect price, now is your chance. Whether you are looking for gemstones, diamonds, gold, watches, etc, you name it – Kohl’s has a great deal for you this Black Friday. Shop these exclusive online only deals and save upto 75% off. The offer is good through November 27.